Many individuals are looking for cell phone repair in Woodbury but don’t know where to turn. If your cell phone is broken you may be tempted to try and repair it yourself but this is never a good idea. Our service at Gophermods Woodbury provides top-notch cell phone and mobile device repairs. We have the experience behind us to repair any cell phone problem that you might come across. Why you need your cell phone repair done right! There are many franchises that offer a cell phone repair but most franchises cannot even get your burger order right, how are they going to ensure your cell phone is repaired well? Gophermods is not a franchise as we are a locally-owned business which can give you more personalized service. We were started in 2009 in a dorm room in the University of Minnesota. 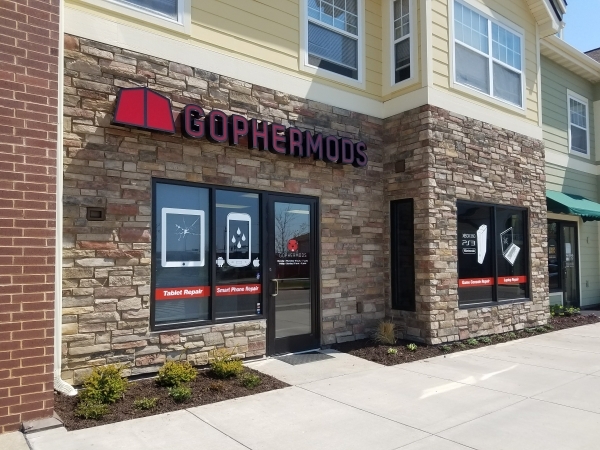 You can be guaranteed that Gophermods offers fast repairs and can provide you with iPhone repair, MacBook repair, iPad repair, and other mobile device repairs. We have a team of qualified experts that have ten years of experience in this business. If you have ever been frustrated taking your cell phone to a franchise and not having it repaired the first time correctly, give us a call and we will quickly repair your cell phone for you. When do I need my cell phone repaired? Your cell phone may have issues that crop up from time to time. Some of these issues don’t need any attention. For example, your cell phone and may simply crash on occasion but a quick reboot can get your phone back up and running. In other cases, if the cell phone is crashing all the time this could indicate a more serious problem that needs to be addressed. This isn’t an issue that you can look at on your own you need a qualified expert to have a look at your cell phone to determine the exact cause of the issue. 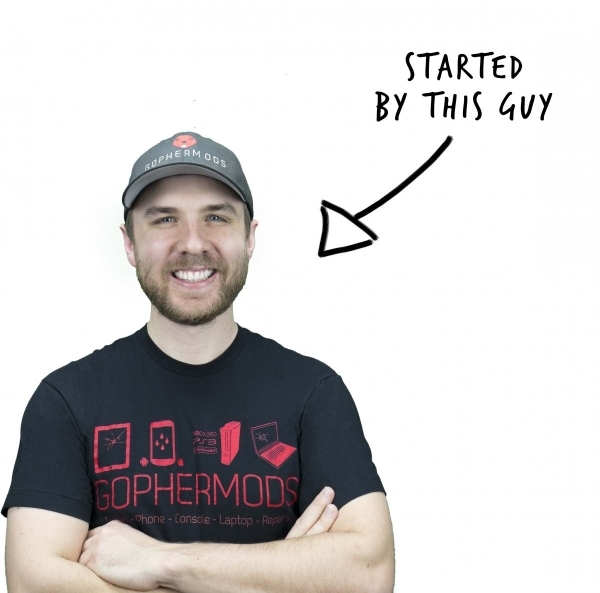 Our team of experts at Gophermods can diagnose your individual cell phone issue and then work to correct the problem for you. You may drop your cell phone and initially, it seems to be fine. Over the course of a few days, you may notice issues with your cell phone because the inside have been damaged. If you ever drop your cell phone you should examine it thoroughly to ensure that there are no cracks and that the device is functioning normally. If you notice anything that is not normal with your cell phone it’s time to take it in for repair. Cell phones that are covered in a hard shell case should survive a small impact on the ground. If your cell phone does not have a hard shell case and you drop it there’s a good chance that you could seriously damage the device. In this case, it’s prudent that you take it in for service right away. In other cases, your cell phone may simply stopped working. There can be many issues that cause of the sort of problem with your phone. In some cases, there may be a device conflict within the phone that is stopping it from booting up properly. You may have installed software that is malfunctioning and causing serious issues with your cell phone. If you can’t boot up your cell phone or it doesn’t seem to be stable, take it in for servicing and one of our experts will have a look at it to determine what the problem is. Other companies may take a long time to repair your cell phone. Gophermods has an expert team that is dedicated to repairing your cell phone quickly. We will look to determine what the exact issue is with your phone and then repair it as fast as possible so you can get back to using your device. Our team of experts has a vast array of knowledge and can repair any cell phone for you. We have been in business for over ten years and have a qualified to team dedicated to repairing your cell phone quickly. Call us now and get your cell phone or mobile device repaired quickly so you can get back to enjoying your device and be free of hassles.